Democratic Karen Buddhist Army leader, held a press conference for Thai and Burmese journalists on May 1 to hit back at accusations made by Thailand’s Deputy Prime Minister, Chalerm Yubumrung, that he is a major drug dealer. The Thai deputy prime minister made the claims on Thai television on April 20. An annoyed Brigadier General Saw Ler Pwe claims he is innocent of the accusations. 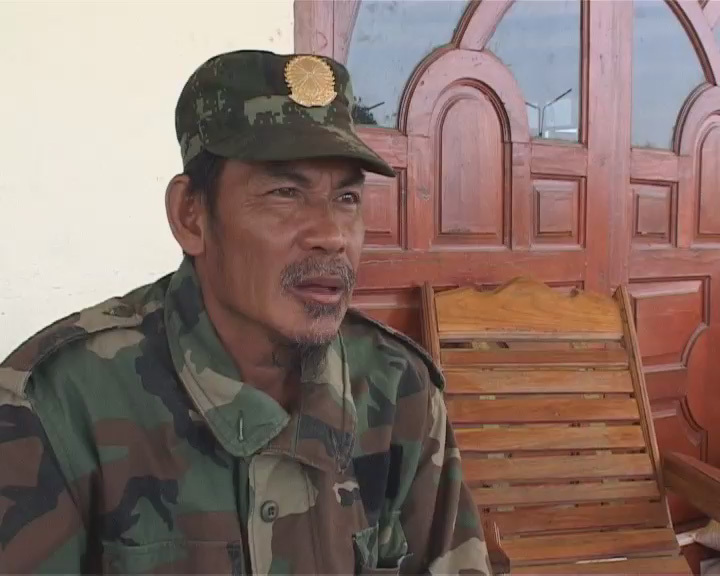 In response to the Thai government’s action of including the DKBA leader on a list that also names him as one of the 25 most wanted drug dealers, General Saw Ler Pwe told the reporters at Kaw Thoo Mwe Khee Section in Walay area in Myawaddy Township that he is innocent and he has or his soldiers have ever been involved in the drug trade. Saw Gon Aung, general secretary of the DKBA’s political wing – Klohtoobaw Karen Organization (KKO) – told Karen News that General Saw Ler Pwe refutes the Thai government’s accusation and is prepared to take the matter to international courts. General Saw Ler Pwe told reporters at the press conference. According to Saw Gon Aung, General Saw Ler Pwe, said at the press conference that he invited the Thai government to carry out an investigation related to the drug accusations at any of the DKBA bases but Thai government has failed to accept the offer. Saw Ler Pwe also said that that the Deputy Prime Minister’s accusation made via a Thai television interview naming and accusing had hurt both Brigadier General Saw Ler Pwe and Burma. Saw Ler Pwe said at the press conference saying that even though Thai government doesn’t apologize to the DKBA, they should apologize to Burma’s President Thein Sein for the drug smear. General Saw Ler Pwe said that he plans to organize a press conference for the international media and he will invite representatives from international drug suppression organizations to come and investigate the alleged crimes and to see who is really running drugs. The DKBA released a statement earlier warning the Thai government that they would be held responsible for the damage their accusations had done to the reputation of their leader and the DKBA. Karen News also understood that there may be economic reprisals carried out by the DKBA such as disruption to cross border trade. The Thai government announced on April 20, that the Office of the Narcotics Control Board (ONCB) was offering 12 million baht (US $388,000) reward for the capture of 25 of the country’s most-wanted drug dealers. The list included three people from Burma – Naw Kham from the Golden Triangle region, Yi Say from the Burmese town of Tachilek area and the DKBA’s General Saw Ler Per from southern Karen state.